Special counsel Robert Mueller is now examining Trump’s tweets in his ongoing investigation into whether or not Trump obstructed justice. However, some of these tweets came around the same time that Trump was secretly pressuring Sessions and Comey about the investigation. Mueller is currently examining if Trump’s actions were attempts to obstruct the investigation by intimidating Sessions and Comey, who were both key witnesses, and by pressuring senior law enforcement officials to stop the questioning. 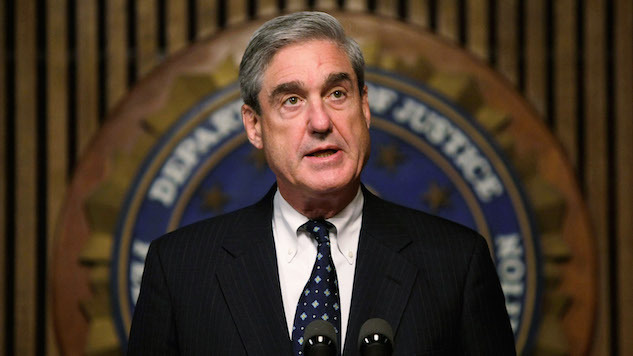 Mueller wants to question Trump about: the tweets against Sessions and Comey, an episode that took place in January in the Oval Office where Trump asked White House counsel Donald F. McGahn II about reports that he had informed investigators of his efforts to fire Mueller. He also wishes to question Trump about any private interactions he had with Comey, Sessions or other senior administration officials concerning the Russia investigation. Also on the list of questions is inquiring about misleading White House statements, public attacks and pardon offers to potential witnesses. Three days ago Rudy Giuliani said the president would agree to be interviewed by Mueller as long as he doesn’t ask questions about obstruction of justice. Despite how fishy that statement is, the Trump legal team has completely denied any possibility of obstruction of justice. In response to Mueller’s examination of Trump’s tweets, Giuliani said, “If you’re going to obstruct justice, you do it quietly and secretly, not in public.” In May, Trump also denied obstruction of justice in a tweet, ironically enough. Trump wrote, “It would seem very hard to obstruct justice for a crime that never happened! Witch Hunt!” However, this is incorrect, as obstruction of justice charges can be brought even if no other charges are. Trump’s lawyers have been worried about an obstruction of justice charge since late last year when a Trump attorney claimed the president of the U.S. cannot be guilty of obstructing justice. This is also incorrect. So far, over 20 Russian citizens and four Trump associates have been implicated in the Russia investigation and Trump could be next thanks to his narcissistic twitter page.